What’s next for Alexander Volkov? 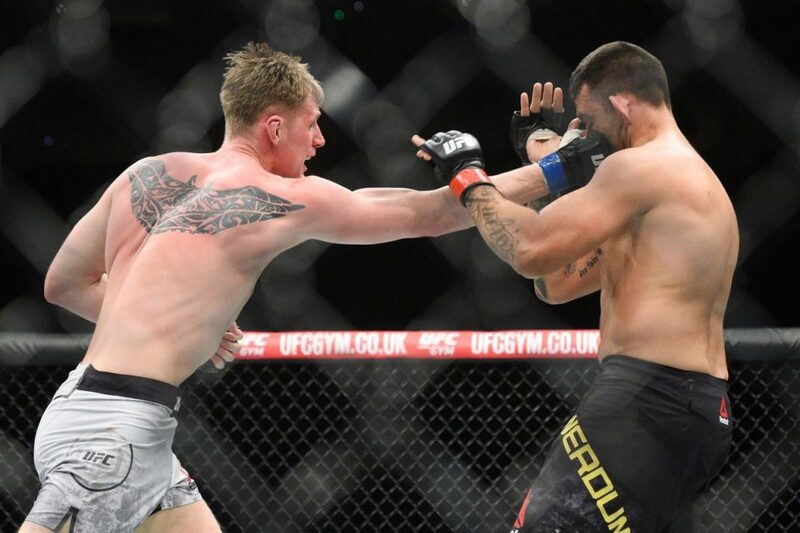 An almost passing of a certain Heavyweight torch occurred last night in the main event of UFC Fight Night London, as the main event prospect Alexander ‘Drago’ Volkov survived a grappling wary Fabrício Werdum for four rounds, before smashing the Brazilian veteran with ground and pound in the penultimate round. The Russian behemoth known primarily for his boxing ability survived some dangerous sweeps and counters from the BJJ standout Werdum, and will most definitely leapfrog ‘Vai Cavalo’ in the Heavyweight pile. Werdum joins both Stefan Struve, Roy Nelson and Timothy Johnson on former Bellator Tournament victor Volkov’s undefeated UFC résumé. 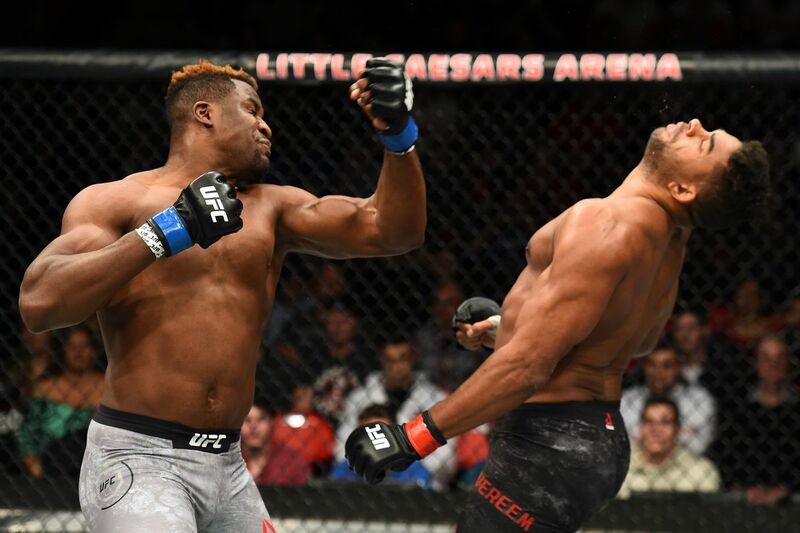 Francis Ngannou clash: An absolute monstrous match-up at Heavyweight is the widely speculated meeting of Cameroon’s powerhouse Francis ‘The Predator’ Ngannou and Russian brawler Volkov. Expected to at least occupy the top 5 of the division, this matchup makes perfect sense with Ngannou reportedly eyeing an explosive return to action after his decision mauling at the hands of current division best Stipe Miocic. This would obviously be a pure striker versus striker affair, but Volkov holds a couple of nasty front kicks particularly targeted to the body, which could inevitably cause the Batié native some cause for concern. Interesting prospect. 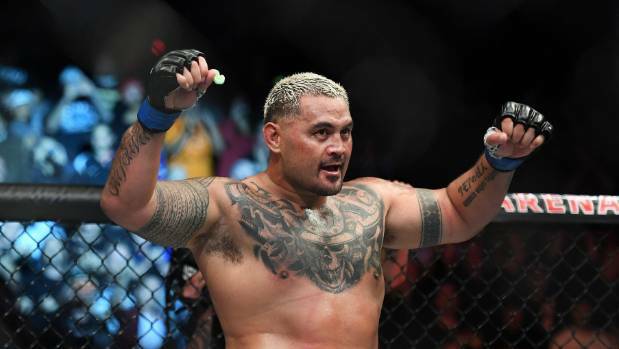 Mark Hunt meeting: A potential career-threatening clash for Mark Hunt would certainly occur if he were to be pitted against ‘Drago’ Volkov. A much younger, hungrier striker who would hold both a considerable height and reach advantage. ‘The Super Samoan’ of course held the co-main event slot at Perth’s UFC 221 against Juco star Curtis ‘Razor’ Blaydes but despite tagging the Chicago prospect early in the opening round, lost a decision after some dominant wrestling exchanges. 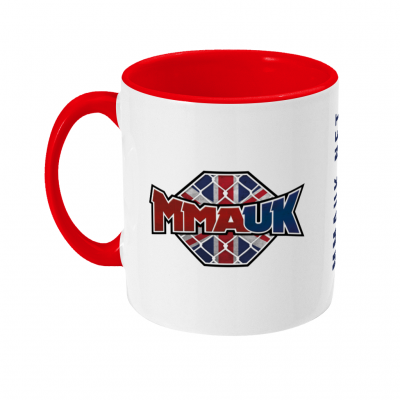 With often unmatched striking power in the Heavyweight ranks, Hunt’s once granite chin and almost unbelievable ability to absorb a shot have vanished in his recent years, losing via dramatic stoppages to Alistair Overeem. Fabrício Werdum, and Stipe Miocic as of late. Hunt would, in my opinion, be wise to avoid this meeting, although Volkov isn’t a massive power puncher, a heavy volume barrage would surely prove fatal for former K-1 great Hunt. Stipe Miocic vs. Daniel Cormier winner: Not too far-fetched a pairing compared to recent matchmaking decisions, Stipe Miocic or Daniel Cormier defending their crown against upstart Volkov would be a logical option considering the European’s record and a stoppage win over the former champion Werdum. The ‘super fight’ between Heavyweight champion Miocic and Light Heavyweight gold holder Cormier takes place during International Fight Week in July at the T-Mobile Arena at UFC 225, so expect the victor to maybe defend the title once more before the end of 2018. Denying Volkov the opportunity would be a bizarre option, especially if Alistair Overeem overcomes the aforementioned Curtis Blaydes at their UFC 225 square off.